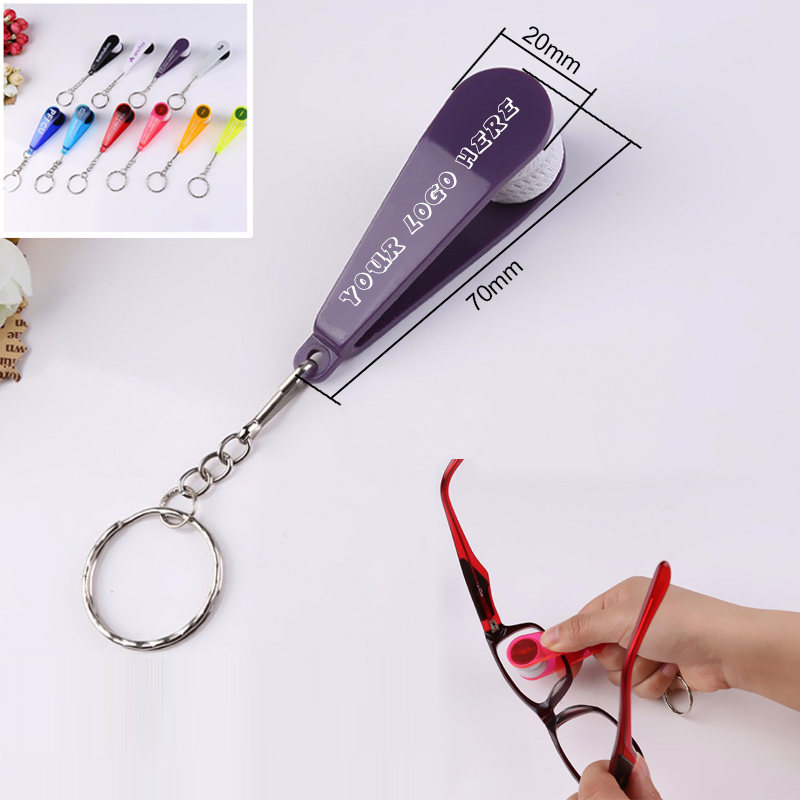 Made of ABS and microfiber, mini size, modeling unique and features with a key ring, easy to carry, allows you clean your glasses any where and any time. Package: 1 pcs /opp bag, 1000 pcs/ctn, 26 lbs/ctn. If you provide the logo file & pms color#, we can do artwork for your reference. Door to door service to USA, price includes freight or Sea and duty fee. Also we can make rush service.